Wow just like condensed milk!!! The P.M. looks so frail but her translator into sign language is made of heavy duty material. Maybe he is her bodyguard as well! New Zealand will ban military-style semi-automatic and assault rifles under tough new gun laws following the killing of 50 people in the country’s worst mass shooting, Prime Minister Jacinda Ardern says. New books spring forth for the Spring Reading! Once upon a time risks were few and far between! Now life is one continuous chain of risks and dangers! 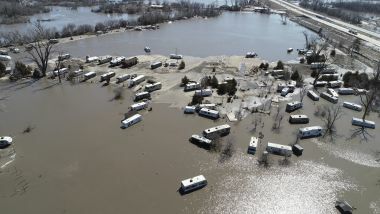 ST. LOUIS (AP) - Even as floodwaters receded in hard-hit places in in the Midwest, experts warned Saturday that with plenty of snow still left to melt in northern states, the relief may only be temporary. Women must make men walk on high heels to make them feel its evil effects! I bet they are well preserved too - thanks to the deep freeze conditions prevailing there. More than 300 mountaineers have died on the peak and two-thirds of bodies have still not been recovered. How can ay parent allow a child to play a video game for 45 days at a stretch??? He could have died of hunger/ thirst/shock/ excitement or all of these put together! Six hour period is usually allotted for beauty sleep not for playing video game googly eyed! Another outcry has been added to PUBG aka PlayerUnknown's Battlegrounds. According to News18, an internet report had stated that a 20-year-old boy from Telangana's Jagitial dies while playing the battle royale game. Maybe there is truth in the saying for every publishing of a human face, seven copies are made!!! The list of eligible people increases like summer temperature! Do The king and The Country affect each other mutually? Federal air marshals on the flight had to restrain the 24-year-old woman at the rear of the plane until it landed. Truly it is a place to see and admire but not to live in it! One has to command respect ... not demand for it. One has to earn the awards...not demand for them!! Kangana Ranaut wants the National Award for ‘Manikarnika’. To accommodate the 86" flat T.V, how big is his home??? Following are some possible next steps as Washington continues to wrestle over Russia's role in the election, the conduct of Mueller's investigation and other aspects of the Trump-Russia saga. Democrats are pressing Barr to release the entire report so they can draw their own conclusions. THE QUESTION OF OBSTRUCTION Foremost on Democrats' minds is whether Trump obstructed justice by interfering with Mueller's probe and other investigations. 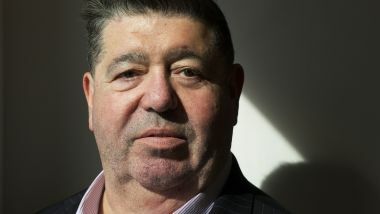 NEW YORK (AP) - The music publicist who brokered a meeting between the Trump campaign and a Russian lawyer says Robert Mueller's Russia probe wasn't a "witch hunt." The right question is "How can everyone be so wrong?" Wow! How could I be so wrong abt this President?! 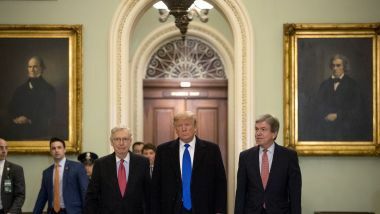 The fact tht Barr let himskate on OBSTRUCTION, even after confessing on NATIONAL TV, proves Potus is100% above reproach! avarai varam thara vida veENumE! The lucky people can do anything / tell any number of lies/ do any number of crazy things and still get away with them! 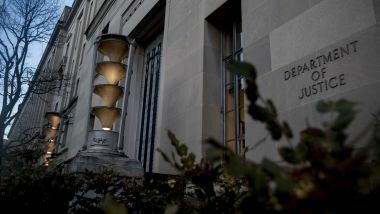 When Attorney General William Barr sent lawmakers a summary of the key findings in Special Counsel Robert Mueller's Russia investigation, members of President Donald Trump's legal team were gathered in an office near the U.S. Capitol. Mueller had spent 22 months investigating whether Trump or his aides conspired with Russia during the 2016 election, interviewing 500 witnesses. The strategy paid off, insulating Trump from the legal jeopardy presented by a sit-down interview with the special counsel's team - an interview that Trump had said publicly he wanted to do.